50.90€ 43.05€ Promoção válida de 2018-11-23 a 2019-04-30 Limitado ao stock existente. With a compact size and stylish looking, the iStick Pico RDTA is not only comfortable to hold and carry but also fashionable in hand. With a 4.2ml e-liquid capacity, the tank can conveniently be refilled by a large fill port on the base. The iStick Pico RDTA is designed with 8 holes to allow extensive airflow and the airflow can be adjusted by turning the mouthpiece. The wide bore drip tip is also a plus to a great vaping experience. The iStick Pico RDTA also has an intuitive internal light that reveals e-liquid level. 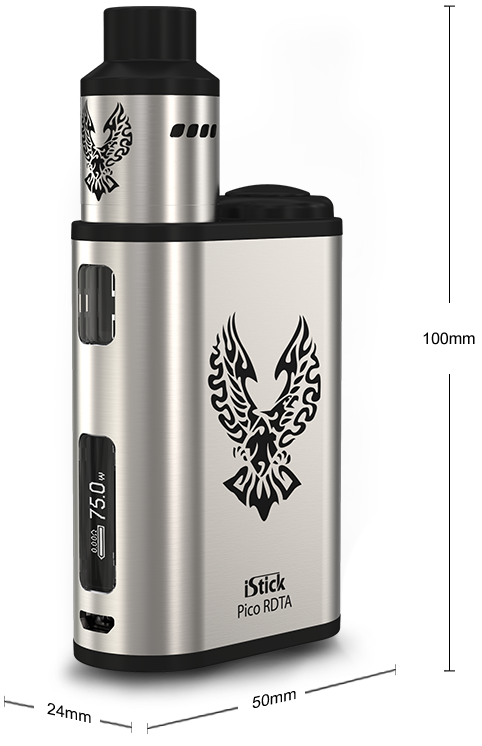 Powered by an inbuilt 2300mAh battery, the iStick Pico RDTA is capable of outputting a maximum power of 75W. Preheat function allows the device to quickly heat up the coil at a higher wattage, providing you with a nice vaping experience. 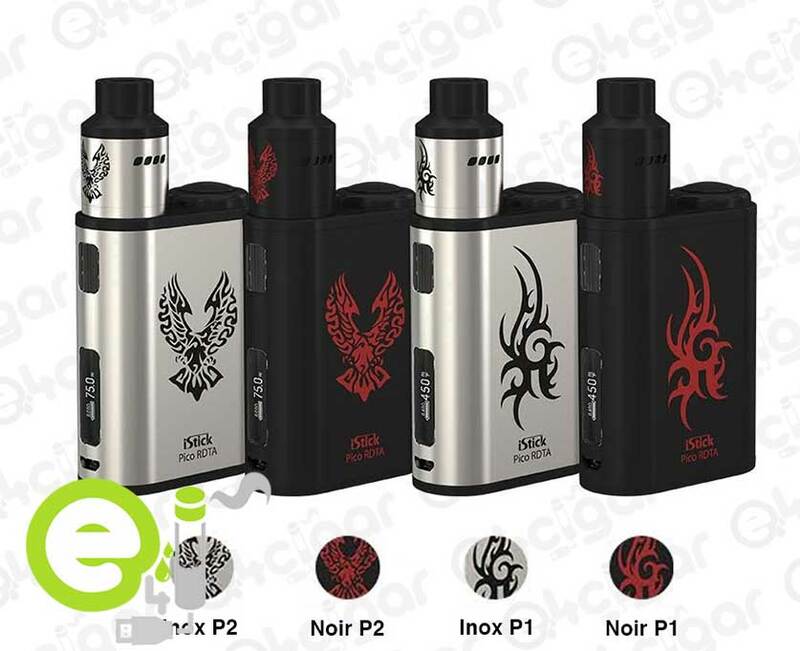 iStick Pico RDTA also has four switchable display interfaces: Puff interface, Second interface, Voltage interface and simplified interface, allowing you to choose the interface you are most accustomed to. The fire button is located on the top and is big enough for ease of pressing. Charging: simply plug the device in to a computer to charge it through the side USB port.